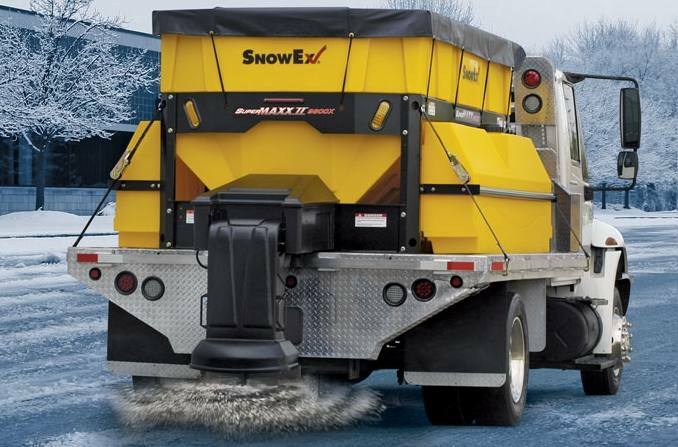 Built for use with the largest SnowEx® spreaders, the PWX-200 and PWX-250 are the most efficient pre-wetting sprayers yet. They apply brine to the spreading material as it's being delivered to the spinner, helping to lower salt usage and increase level of service. They're seriously effective tools for the most serious snow and ice management professionals. Cab-Mounted Smart Control: The smart control on the PWX-200 and PWX-250 pre-wetting sprayers adjusts the flow for the optimal rate. That means you can focus on the spreading application, while letting the controller take care of pre-wetting. 12-Volt Motor : A 12-volt motor powers a direct-drive pump. This simple setup results in low maintenance and reliable performance.